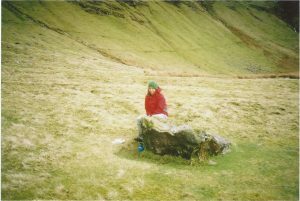 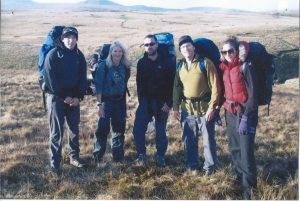 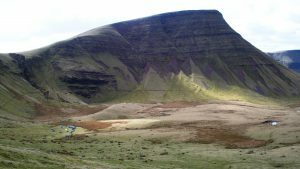 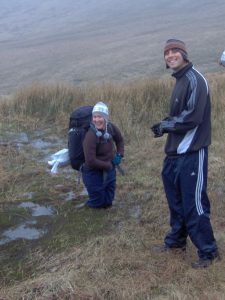 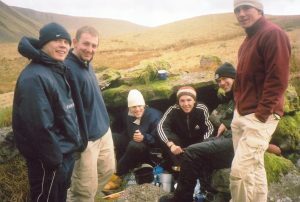 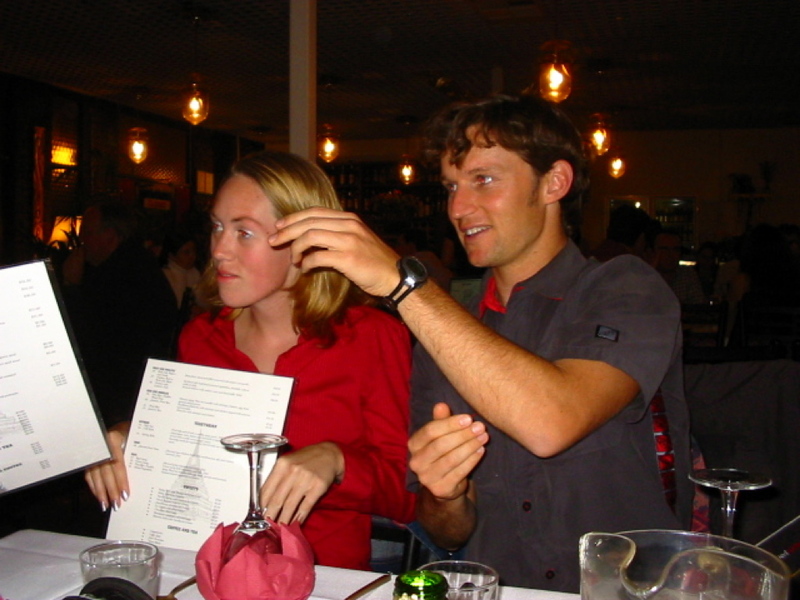 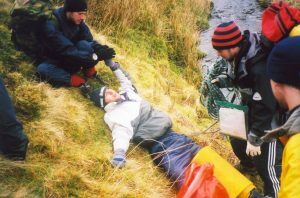 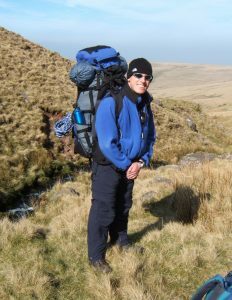 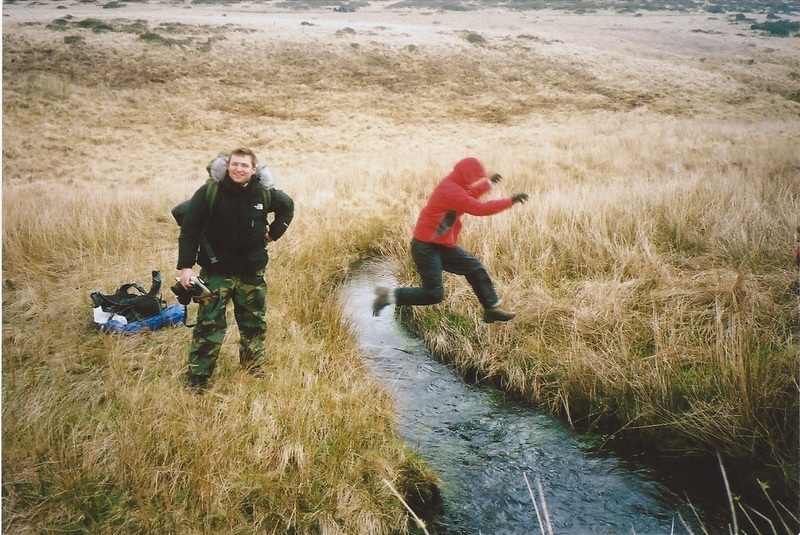 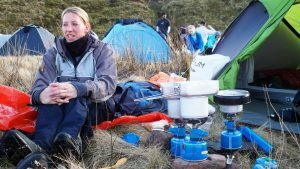 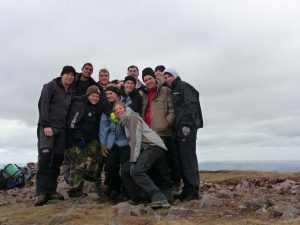 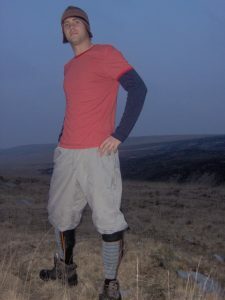 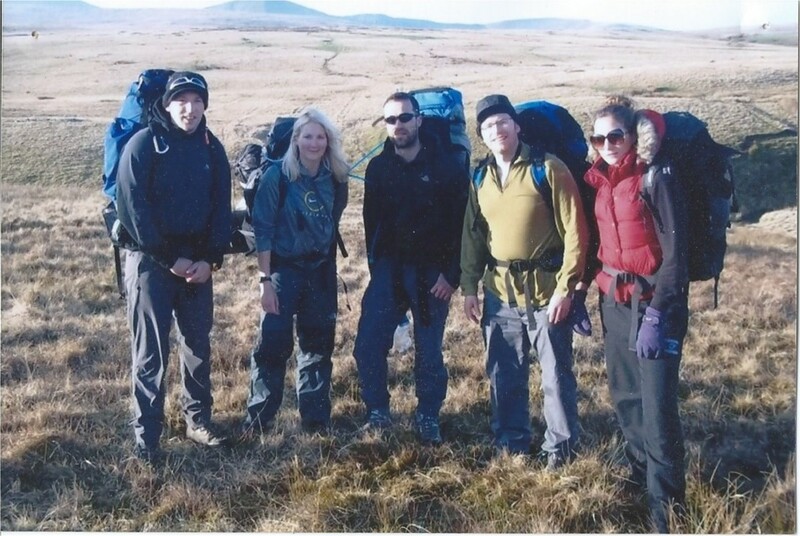 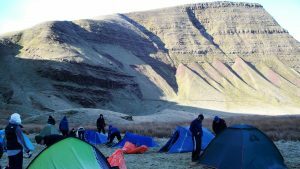 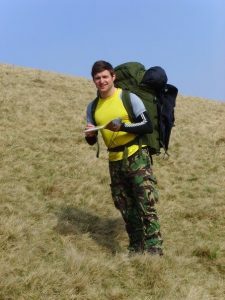 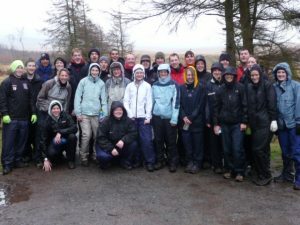 The Expedition Physiology Module and associated annual expedition to the Brecon Beacons evolved from a twice yearly sleep deprivation study we held between 1998 and 2003, where students’ physiological, psychomotor and psychometric responses were assessed after a period of sleep deprivation (i.e. 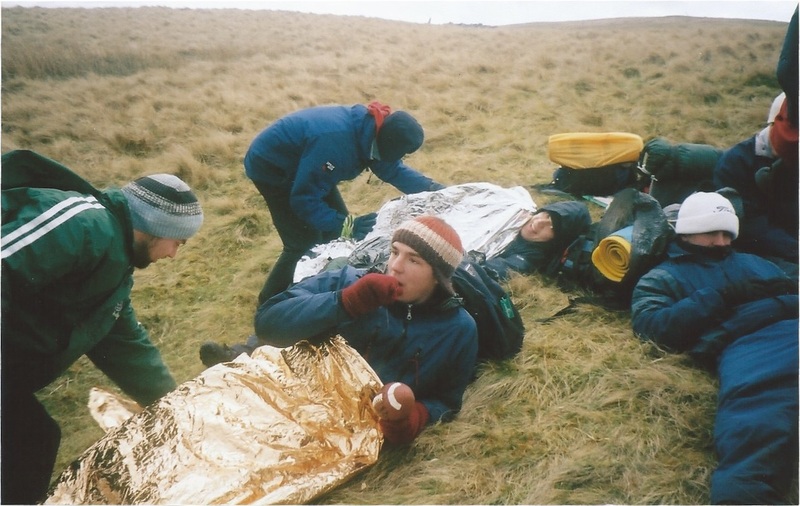 one night without sleep) compared to either full sleep or partial sleep deprivation. 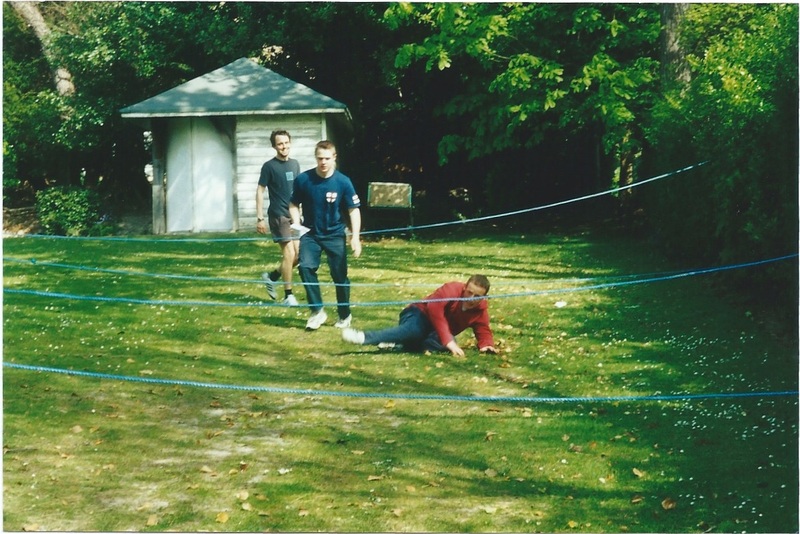 While we were still based in the old Bishop Carey building, the partial sleep deprivation approach of waking the students up every hour on the hour for 5 min to go outside and walk around the building did not go down to well! 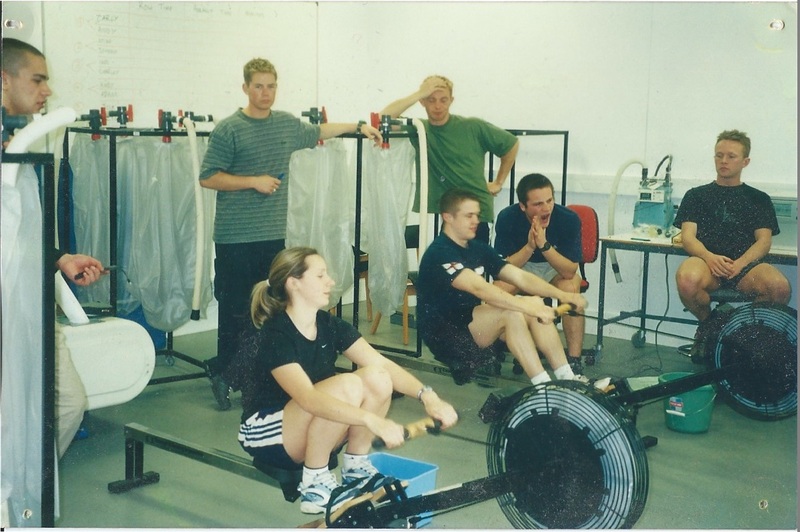 This was when Dr Matt Spencer (then a visiting lecturer from the University of Western Australia) joined in the fun and helped keep the students awake to study sleep deprivation. We soon added an adventurous element to the sleep deprivation by taking the students up onto the South Downs for the night to add to the experience. 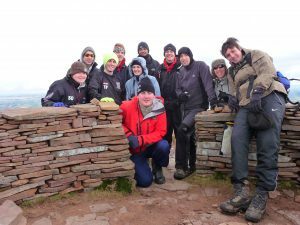 Being followed by a local police officer, who clearly wanted to impress his senior officers by what he had uncovered on the top of Butts Brow, took a bit of explaining by Neil Maxwell! 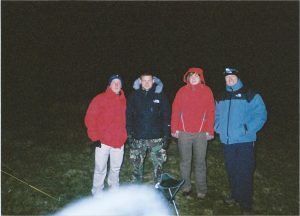 Spirits were high for the early part of the evenings, but to keep the students awake, a short visit to the local cemetery helped! 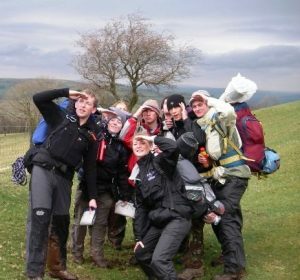 There is no question that spending a night on the South Downs without sleep gave the students a vivid and first-hand appreciation of how sleep deprivation can diminish cognitive and physiological function. In an attempt to make the learning experience more vocationally relevant, a survival scenario was introduced to the sleep deprivation students. 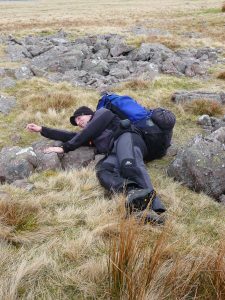 Here, the students had to carry out the role of a mountain rescue team, by first finding the casualties through effective navigation, before then assessing the incident and treating the injuries. 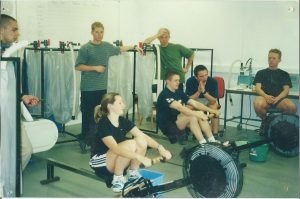 By building the sleep deprivation experience around a laboratory-based study, where the students have conducted physiological and psychological pre- and post-testing, it enabled the academic rigour to be maintained, yet allowed a broader educational experience to occur. 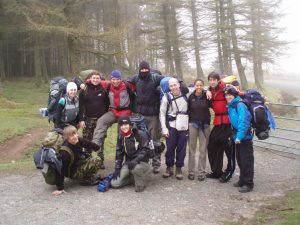 On the basis of very positive student feedback, and also seeing how much enjoyment the students gained from this element of the module, the module was revalidated to expand the vocational relevance it could offer. 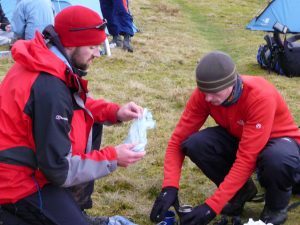 The aim of the ‘Expedition Physiology’ Module was for the students to understand how a critical awareness of the body’s response and adaptation to extreme environments can complement practical survival skills. 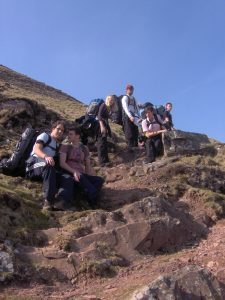 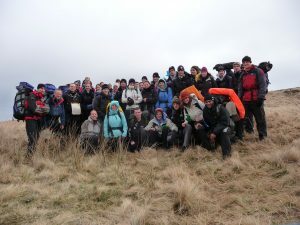 Therefore, in addition to assessing the students theoretically and academically by the students submitting an expedition-research proposal to a fictitious University Expedition Foundation, students were and still are assessed ‘out on the hill’ for competence in navigation, campcraft and leadership. 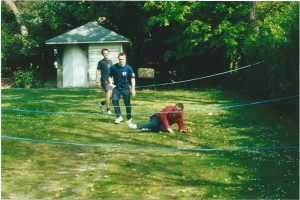 The photos below do not do the experiences we have had justice, but go a little way to show our outdoor playground and how much fun we have had over the years. 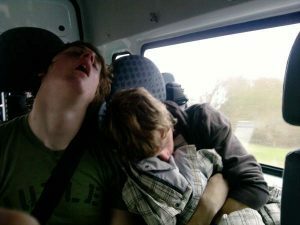 …and finally, what most of the students are doing on the bus on the way home!